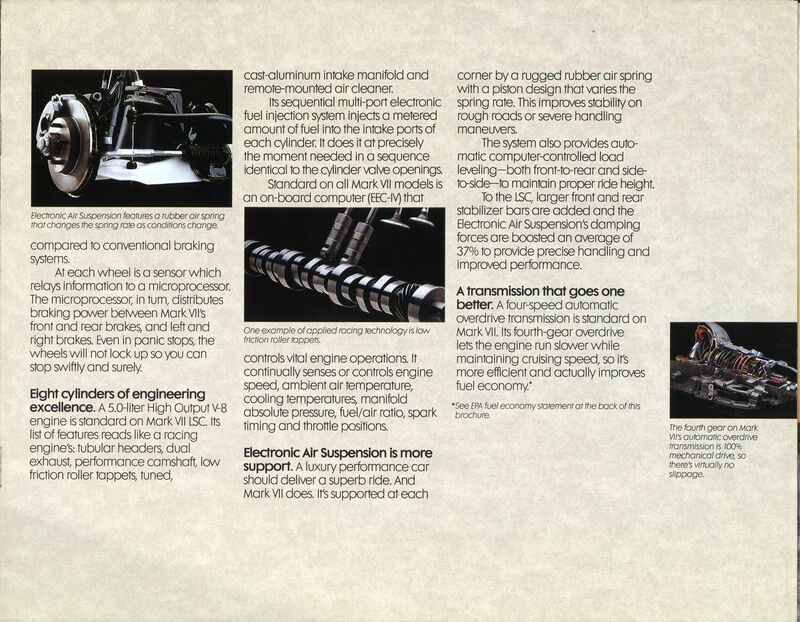 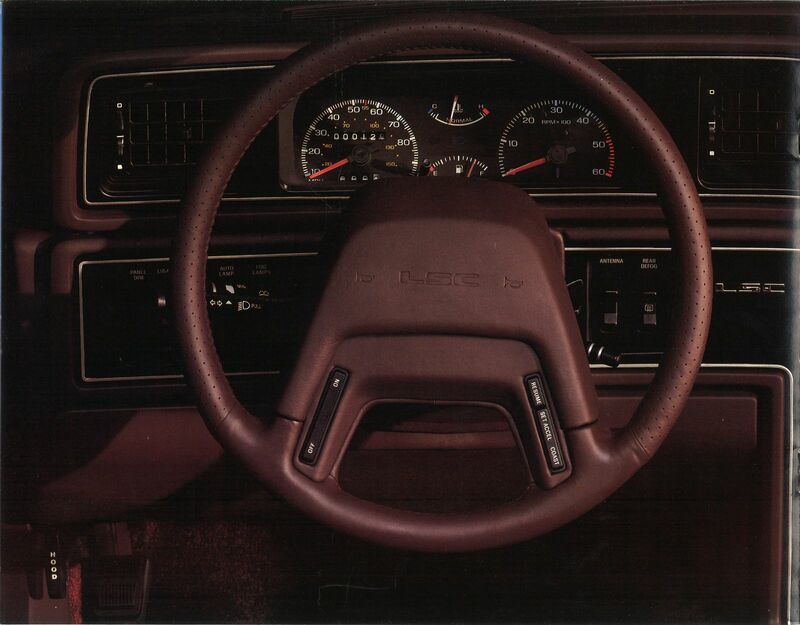 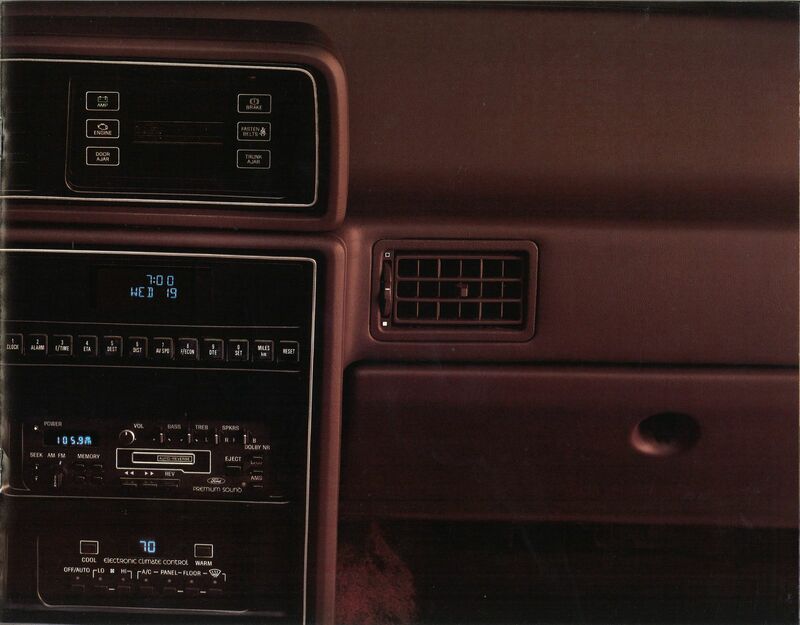 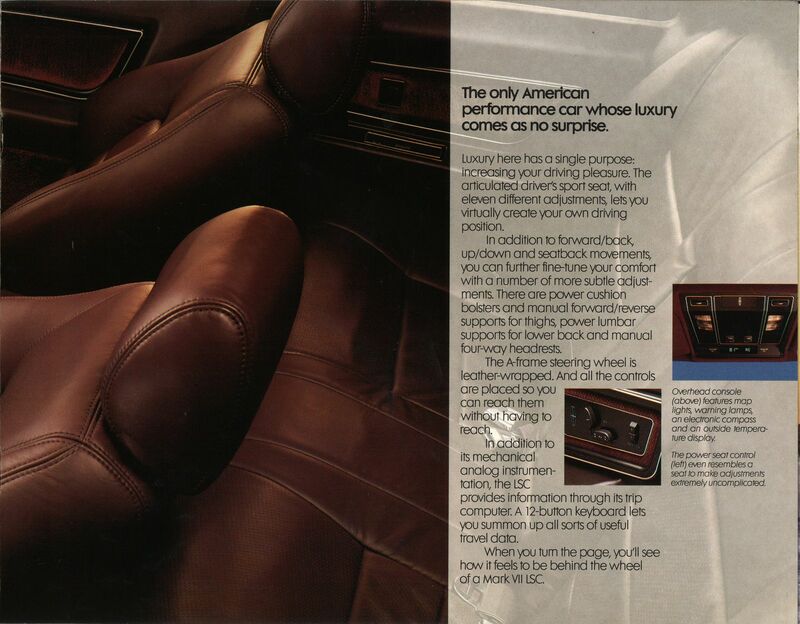 Images are from the brochure collection of Hemmings Motor News, courtesy of Bruce Zahor. 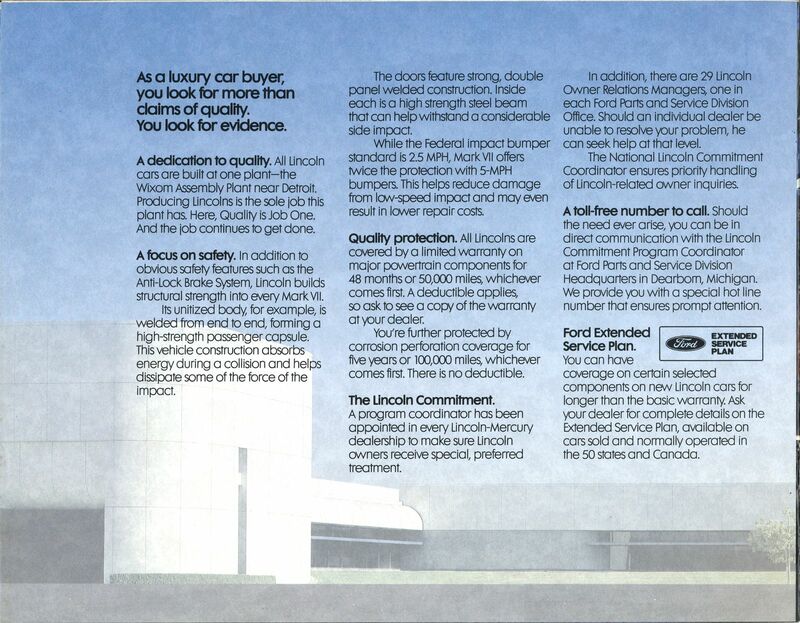 Ford’s upscale Lincoln Motor Company is currently enjoying a bit of a renaissance, with its well-received Continental sedan and Navigator fullsize SUV models following their own, traditional American-style definition of luxury motoring. 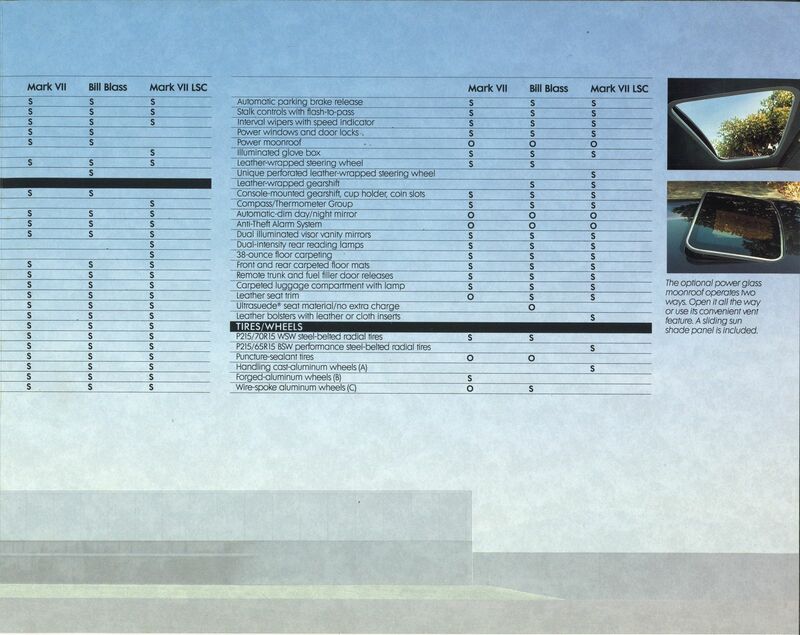 A new Aviator midsize SUV is in the works, and will surely tap into the ever-growing popularity for high-riding people movers. 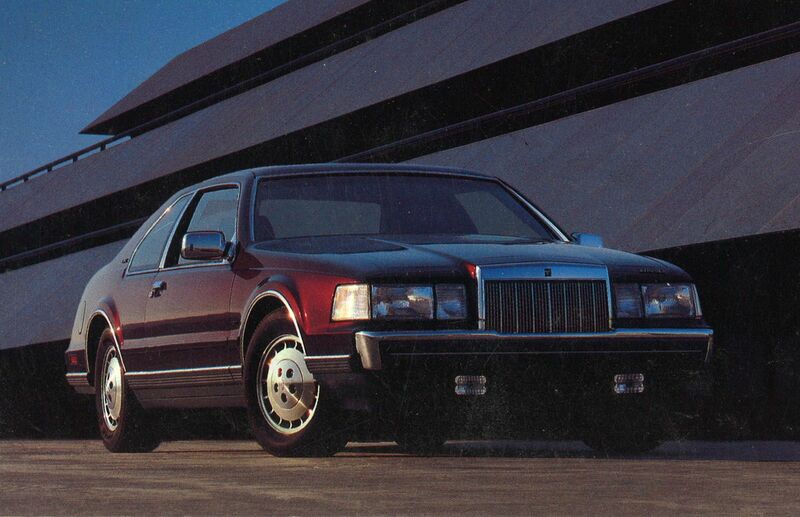 Sadly not in the works is a new Lincoln personal luxury coupe, a niche that this automaker once ruled with cars like the Continental Mark III, Continental Mark V, and this, the Mark VII. 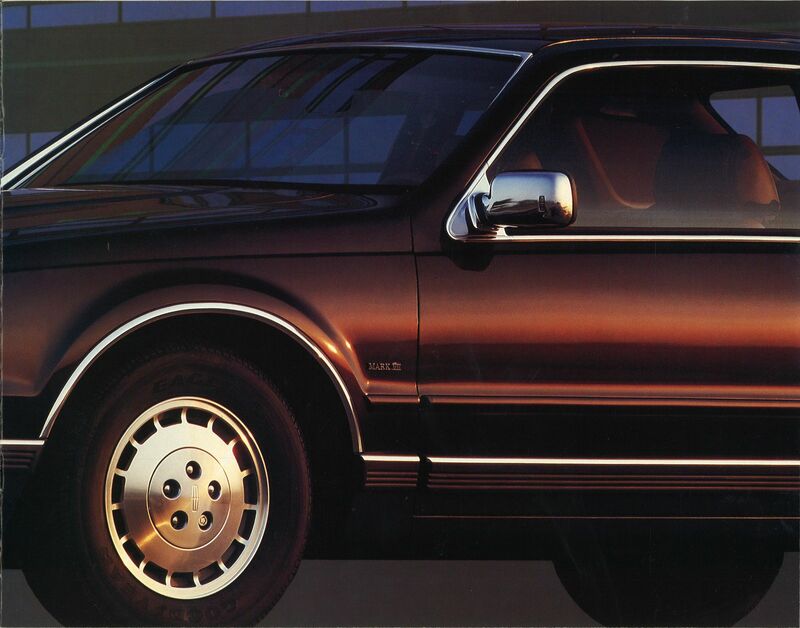 Introduced for 1984 as the Continental Mark VII, this 302-cu.in. 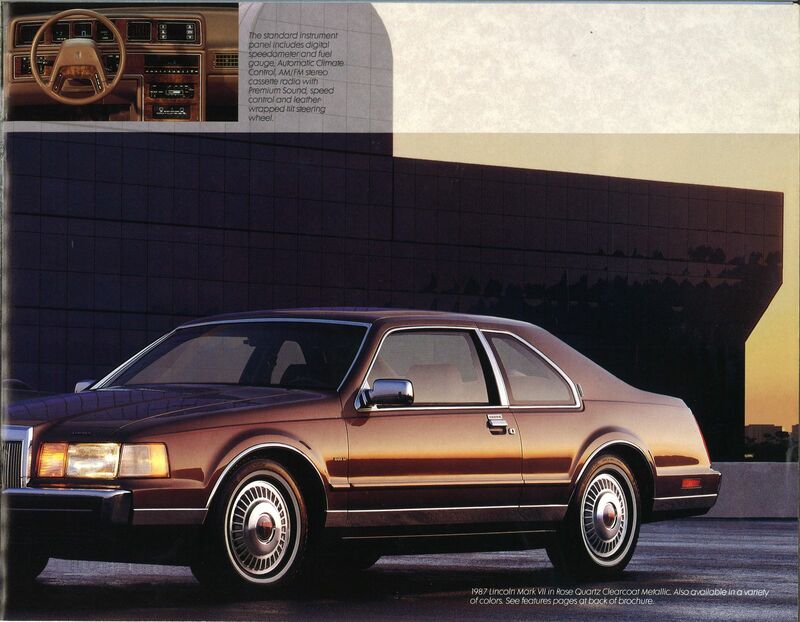 V-8-powered, rear-wheel-drive two-door offered a blend of American and European design–it retained the traditional Continental “spare tire” trunk hump, and was the first U.S. car to use Euro-style flush composite headlamps–mixed with sophisticated features like four-wheel disc brakes, electronic air suspension, and an onboard trip computer. 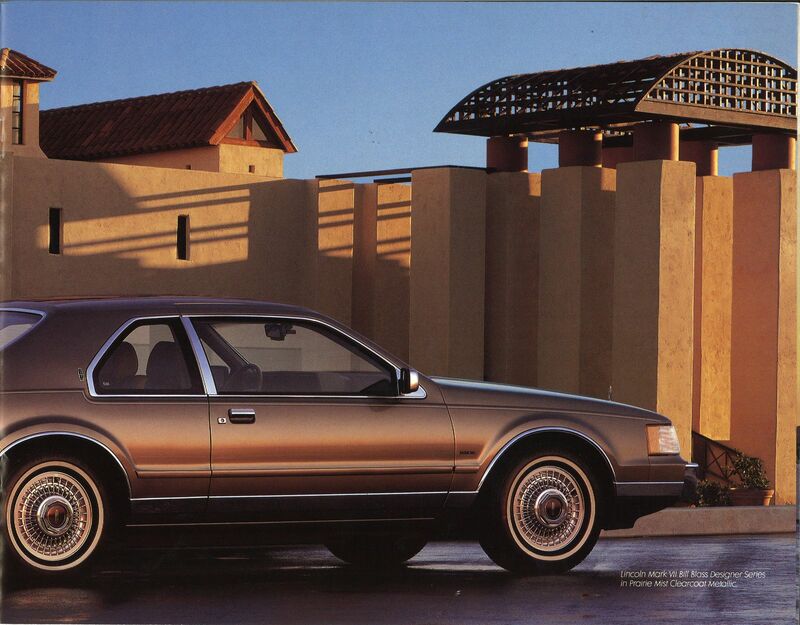 It was available in base, designer series Gianni Versace and Bill Blass models, and LSC (“Luxury Sport Coupe”) variants, and rode on a long-wheelbase Fox unit-body chassis. 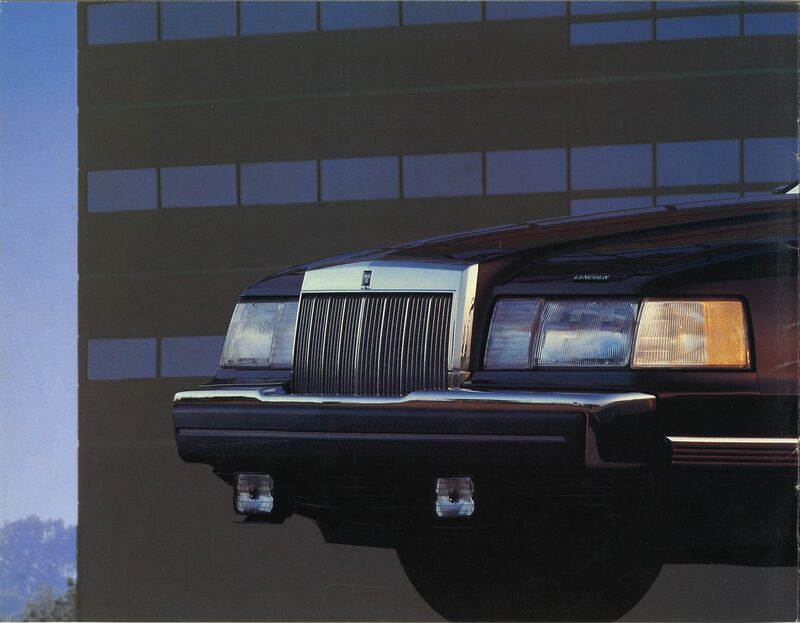 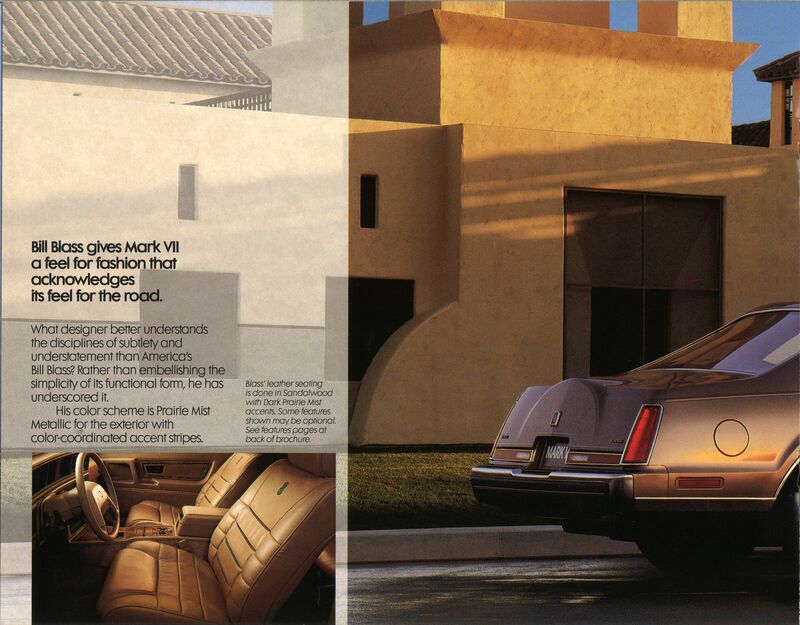 By the time this model-year 1987 brochure was printed, this Mark’s marque affiliation had switched to Lincoln, and the Gianni Versace edition had been dropped, while a BMW-sourced, diesel-fueled, 115-hp 2.4-liter inline-six had entered and left the options list. 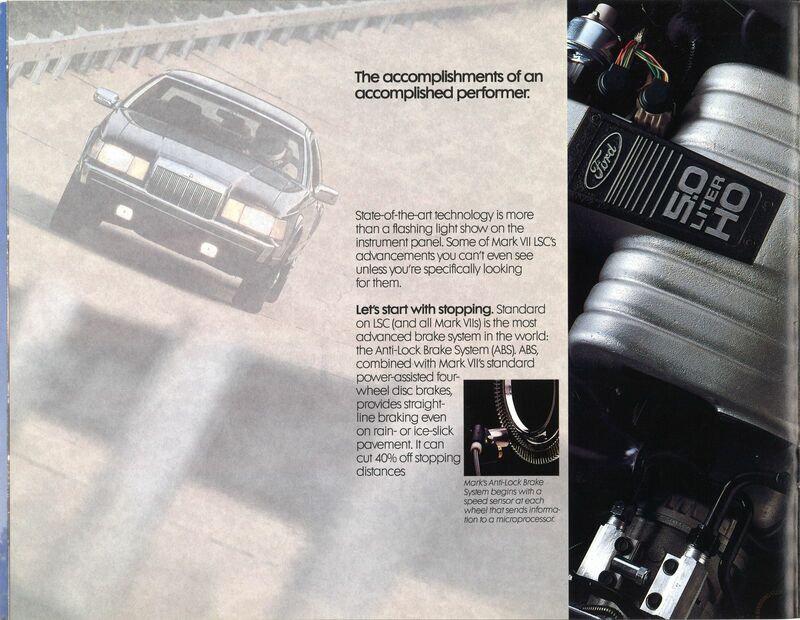 The 1987 LSC would get a 200-hp version of the 5.0 V-8–a nice bump over the 150 hp of base (MSRP $24,216, roughly equivalent to $53,410 today) and Bill Blass ($25,863, or $57,041) models. 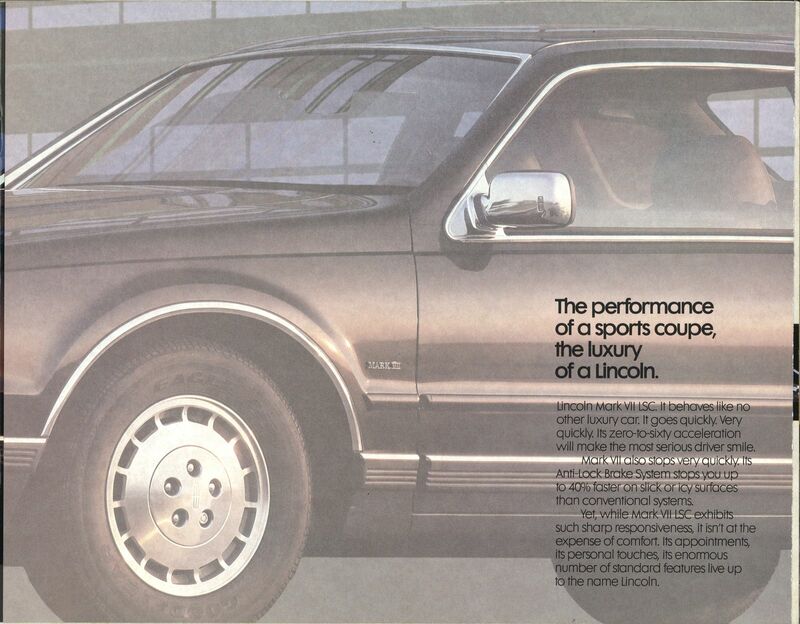 The Lincoln Mark VII Club reported that an undisclosed number of 1987 LSCs got full-fat Mustang-strength 225-hp versions of the high-output 5.0. 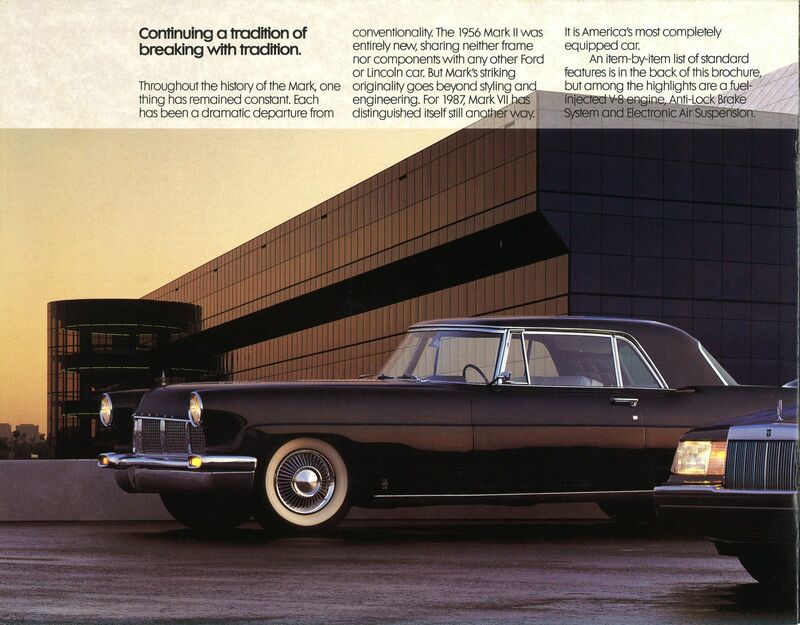 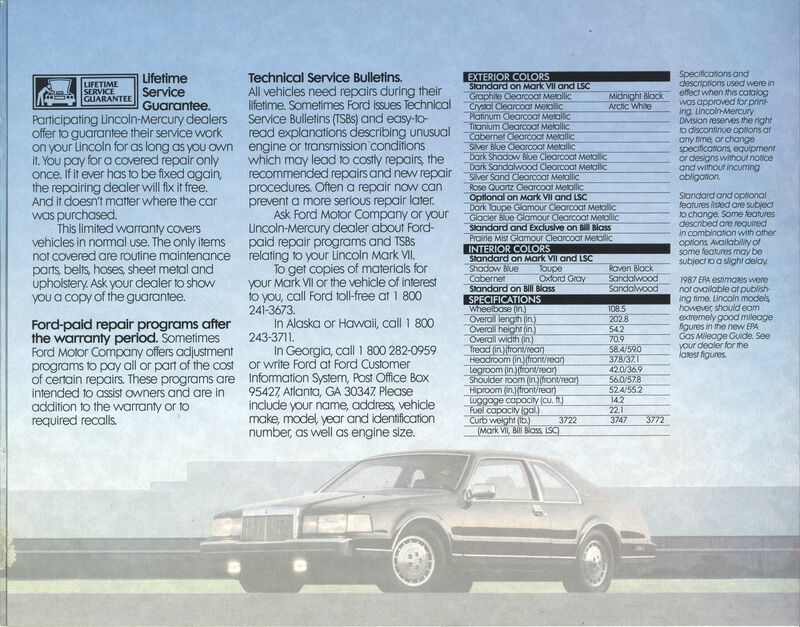 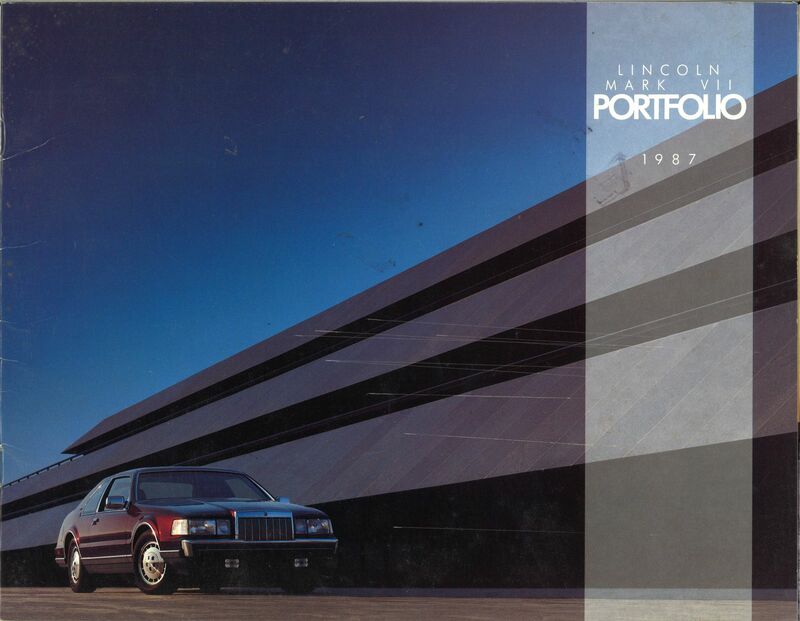 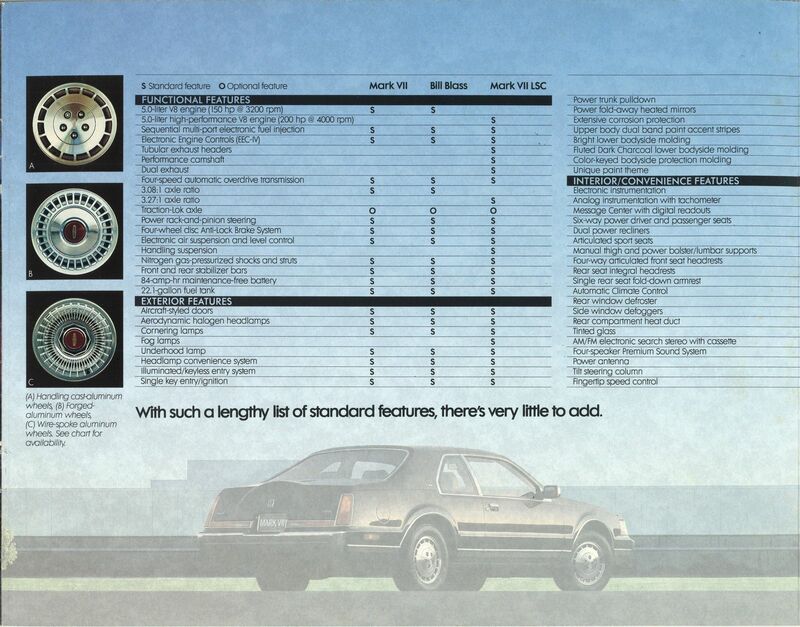 That engine option, which was standardized for 1988, was not detailed in this 20-page “Portfolio,” although Lincoln did underline the Mark VII’s bona fides by including a portrait of a base model with its timelessly elegant ancestor, the 1956 Continental Mark II. 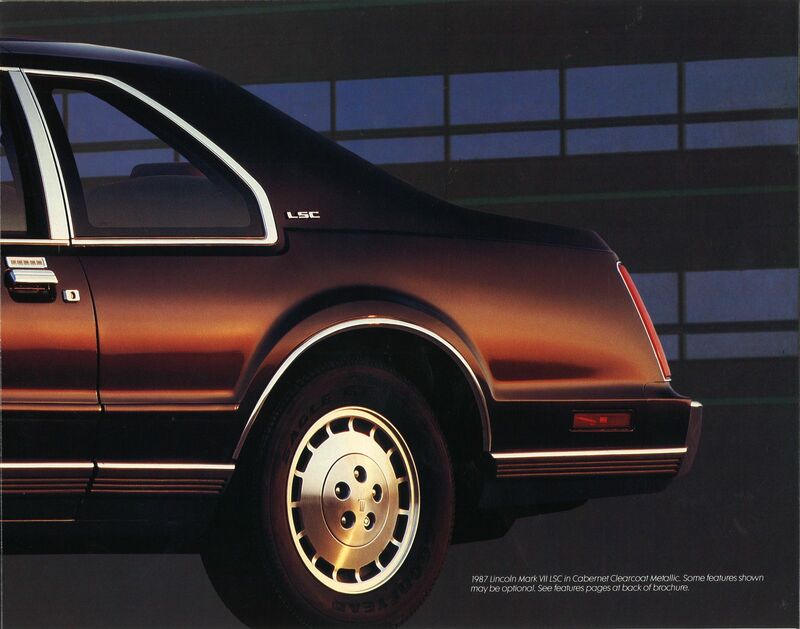 The Mark VII would become a true Hot Rod Lincoln the following year, when the LSC got a seriously sporting treatment that was retained through 1992, the last year of this penultimate Lincoln coupe. 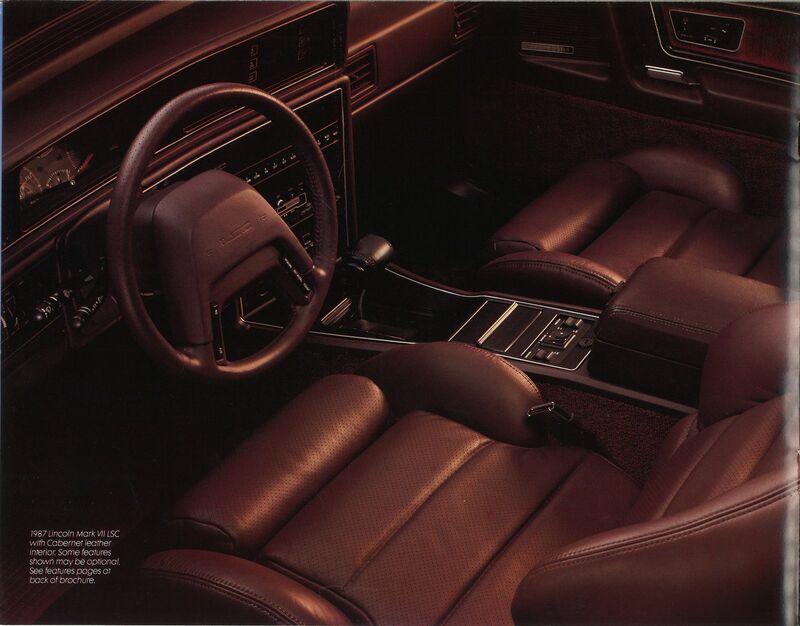 Have you ever motored in a Mark VII? 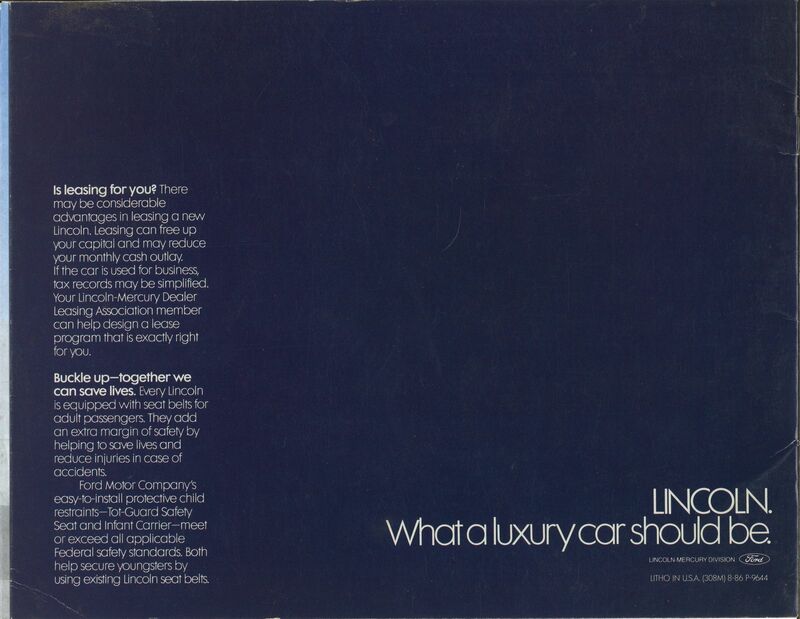 If so, do you prefer the luxury or sports versions?